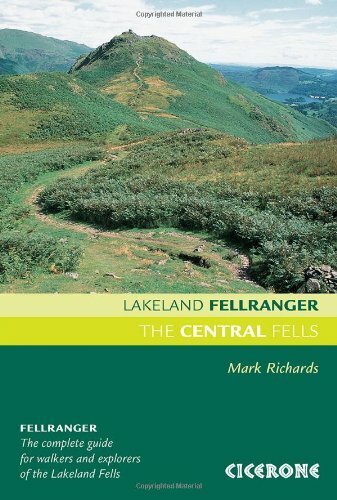 The central fells of Lakeland are not among the best known, but provide many opportunities to "get away from it all". 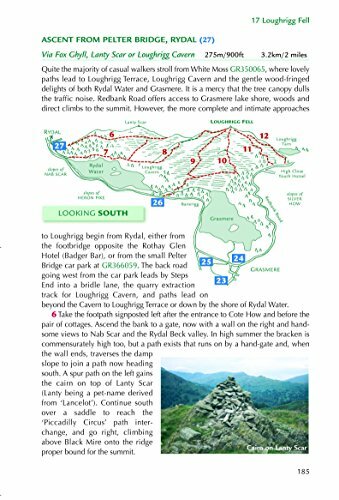 The area can be described in terms of north to south from Keswick to Great Langdale, and east to west Borrowdale and Derwentwater to Thirlmere and Grasmere. As with the other volumes in the series Mark Richards provides informative content, clear diagrams and and great photographs. 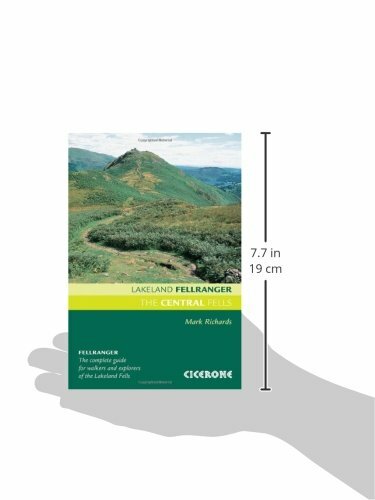 The Central fells comprise the high ground between Great Langdale and Keswick. ... While the finest scenic moments tend to be around its periphery, the interior also holds many fruitful fell-wandering days. 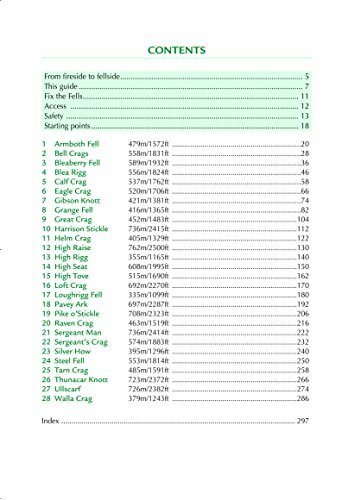 Each fell has its own dedicated chapter, and the variety of routes on the fell are carefully depicted on Harvey Maps and fellscape diagrams. 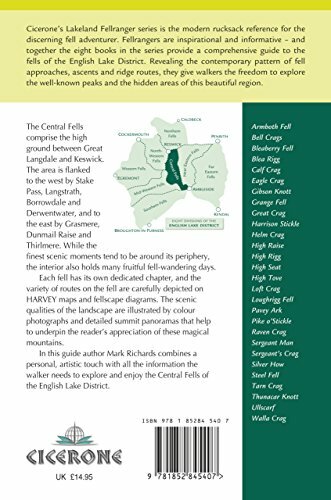 The scenic qualities of the landscape are illustrated by colour photographs and detailed summit panoramas that help to underpin the reader's appreciation of these magical mountains.